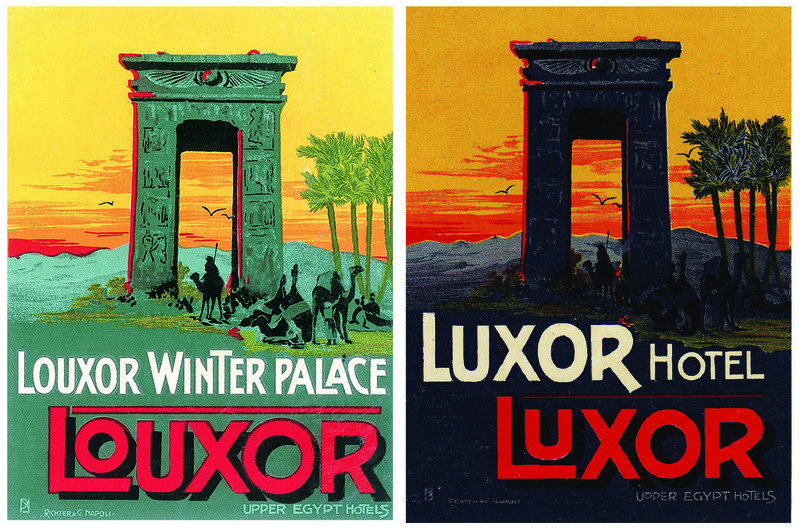 10 Responses to The Winter Palace and Luxor Hotel: a case of mistaken identity? The Luxor Hotel! Who knew it was so important and central to the local history at the turn of the last century! And what a great piece of research. I might add I’m an avid fan (and member of the Tilling Society now part of EF Benson Society) of the Mapp/Lucia series. Also follow any/everything on Carter and the Egyptologists. Have been to Egypt many times. Last time stayed at the Windsor Hotel, perhaps my wife and I sat on the very same bar stools as her mum and dad (Brit. Army Alexandria) as we understood it served formerly as the British Officers Club. Loved the lounge decorated with mounted animal heads shot years ago on desert hunting forays. Also met some of the expatriates who gather from all over the city for drinks in the evening. Thanks also for the link to William Peck’s story on Benson in Egypt. The Benson book he cites “The Image in the Sand 1905″ previously hard to get, is now on Gutenberg and I’m reading it ! 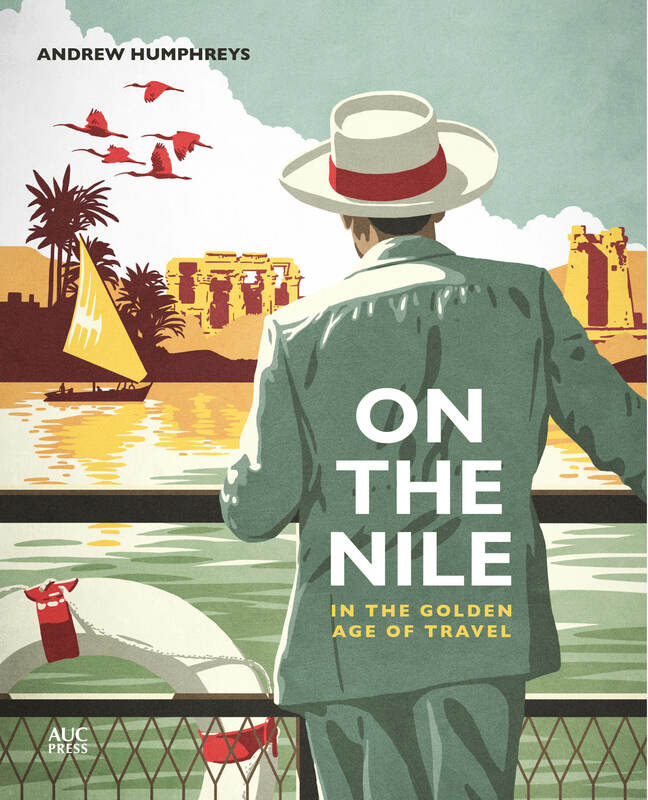 Also have ordered your book on the hotels, but couldn’t find the newest one on the Nile. Is it out yet? Sounds terrific. Regarding the Winter Palace Hotel: you are correct, it opened in 1907. For reference please see page 83 of the below-listed title. -. 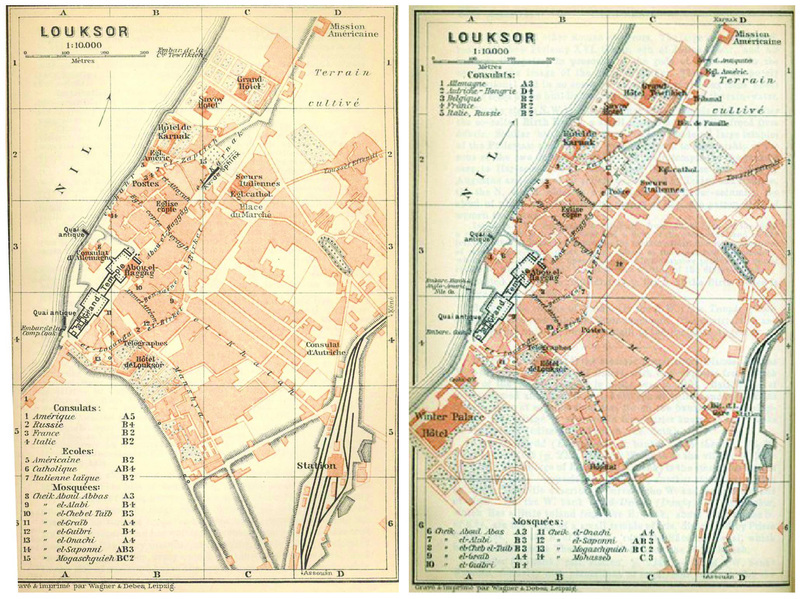 Egypt and How to See It 1907 – 1908. 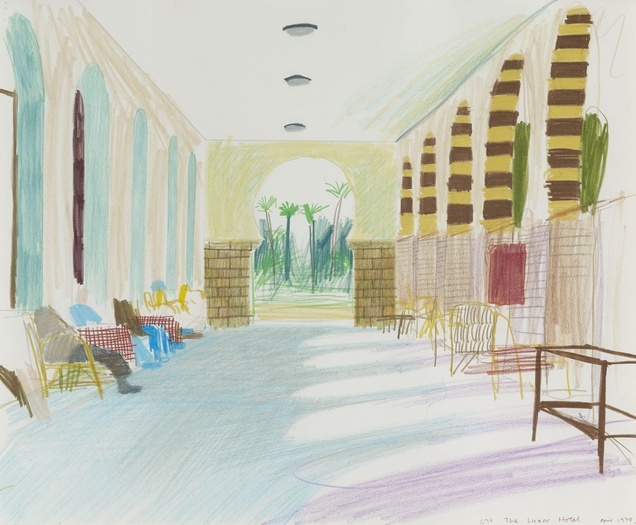 Doubleday, Page & Co.
We were lucky enough to stay at the Luxor Hotel in the summer of 1979. There was a kind of connection between the two mentioned hotels, as, as customers we were allowed to use the Winter Palace swimming pool for free. 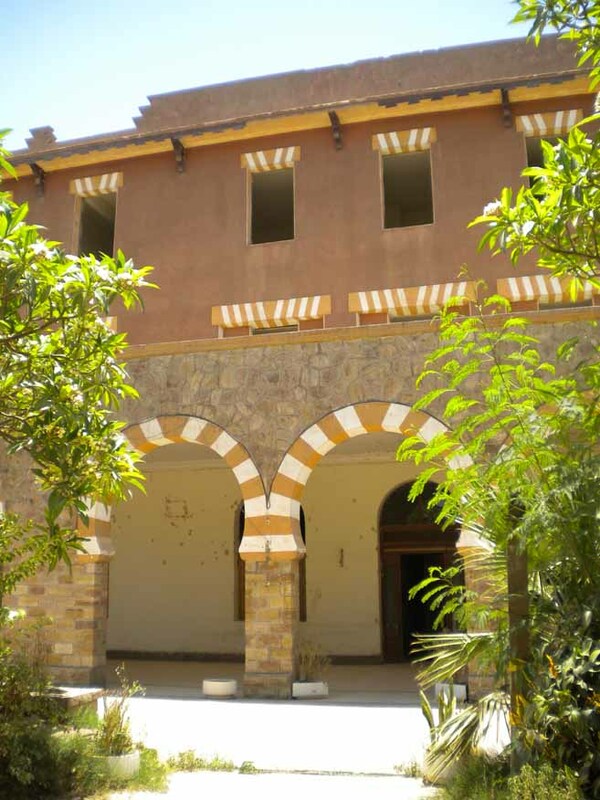 We were back in Luxor in March 2017 but sadly still no sign of evolution in the renovation project. 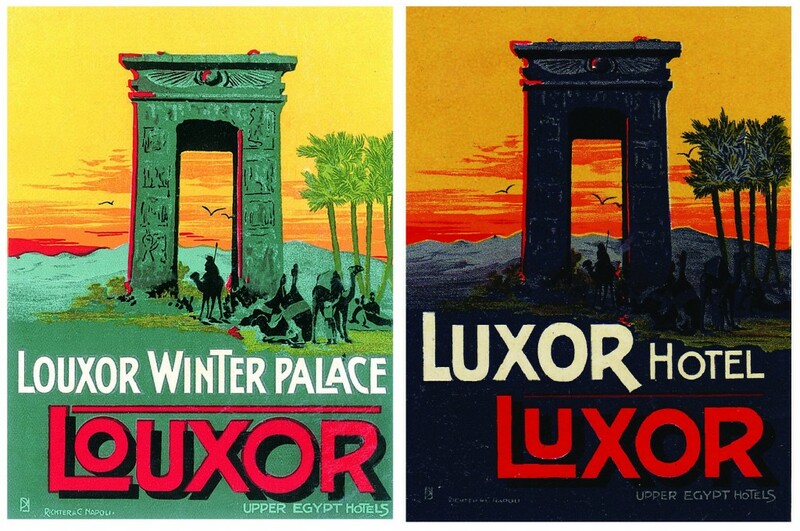 We were in Luxor in February 2018 and most days had tea at the Winter Palace. The Guest Relations lady kindly showed my wife Lord Carnarvon’s Suite (I had already seen this and that of Howard Carter’s in 2017). I mentioned the question over the date of the hotel….1907 or 1886. She agreed the 1907 date of the Hotel but insisted it was a Royal Palace in 1886. 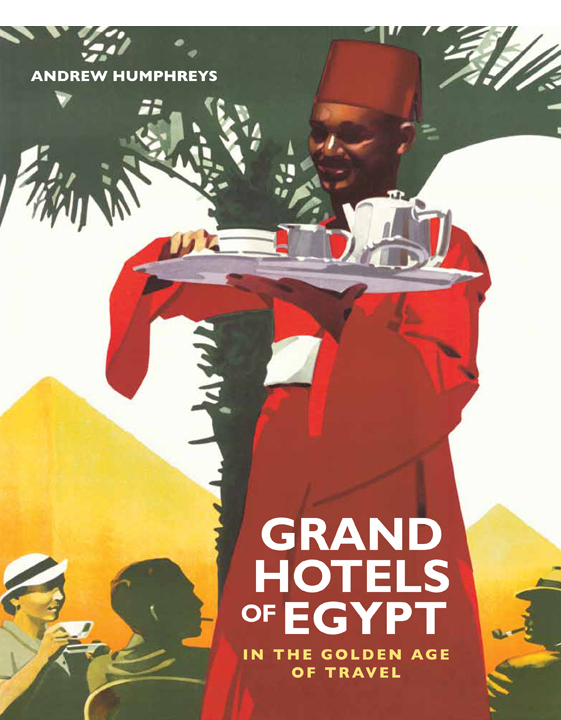 Both books “Grand Hotels of Egypt” and “On the Nile” have given me a tremendous amount of pleasure. We were in Luxor when the revolution started in 2011 and have visited 3 times since……I am delighted that tourism this year has greatly increased from previous years. I’m not sure where the guest relations lady is getting her information but the building that is the Winter Palace did not exist prior to 1907. She only needs to look at maps from the years before 1907 to see that there is nothing on the site. The hotel was purpose-built. Despite what you read, I’m fairly certain Agatha Christie never stayed at the Winter Palace. 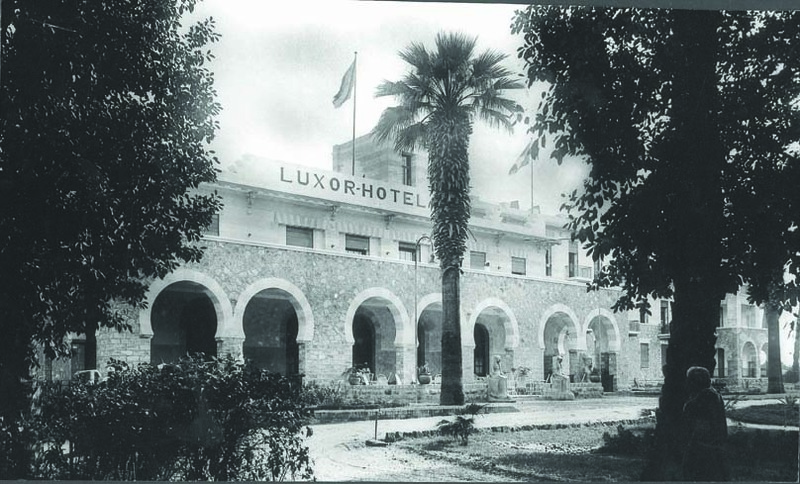 She visited Luxor while on a Thomas Cook steamer, and for the three days the boat was in Luxor she would have accommodation onboard. Also, the memoirs written by her husband, the archaeologist Max Mallowan, mention a visit made by Agatha and himself to the Winter Palace to have tea with Howard Carter, which also implies that they were not staying at the hotel. Thank you for your answer!!! I appreciate it. I am enjoying a lot this stories. Thanks again!! !